Significant changes have taken place over the past few years and are continuing to take place in the Australian Energy Markets – Electricity prices are increasing – some businesses have experiencing a doubling of their electricity and natural gas invoices/bills – and security of electricity supply cannot be guaranteed (South Australia has experienced black outs) creating a risk that must be managed by the businesses themselves. There are 2.02 million hectares of commercial forestry plantations in Australia. These plantations are made up of a combination of hardwood (e.g. Eucalyptus species) and softwood (e.g. Pinus Radiata). The land area used for Commercial forestry plantations in Australia has doubled since the 1990’s. Forest covers approximately 149.4 million hectares or 19% of Australia’s land area, ranking it in the top 10 forested countries worldwide and important in terms of carbon emissions management on a global scale. Most of the forests in Australia are native forest. Native forest is not a feedstock for any of BEA’s projects, nor will it ever be. Waste wood from the processing of commercial forest to produce timber products at sawmills, Bin Wood, that is, left over in-forest commercial forestry process waste and clean, industrial wood waste from within the urban environment from construction and packaging diverted from landfill, are BEA’s focus in terms of biomass feedstock. Bin wood is typically currently burnt to the atmosphere prior to the replanting of young trees as part of commercial forestry processes or simply left to degrade. For the species Pinus Radiata this degradation process typically takes 3 years (depending on local conditions). Notably leaves and branches usually break off and remain in the forest to renutrify it as a result of (and depending on) the harvesting techniques employed as well as local conditions. There are a few biomass to power plants located at sawmills which in Australia. Sawmill waste is typically used by sawmillers to produce heat by burning it in kilns or boilers. 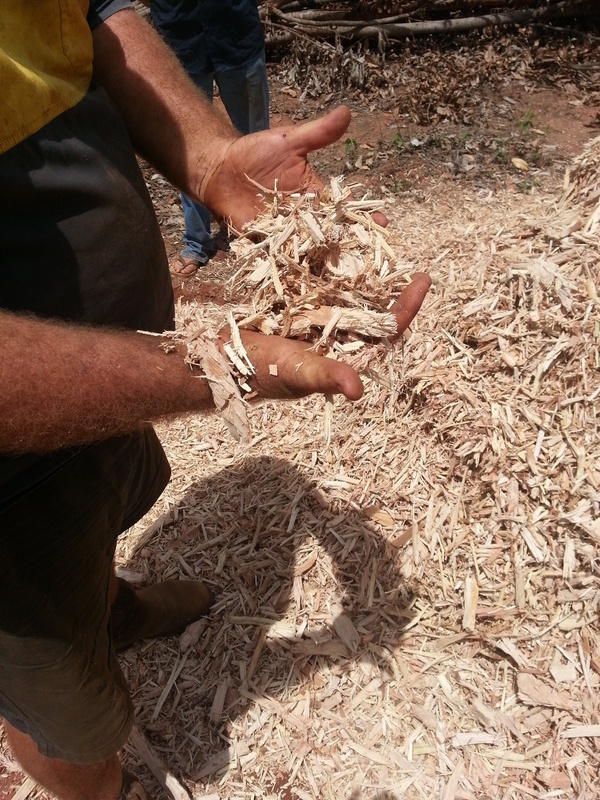 Alternatives uses of this sawmill material to on site energy generation include collection of this wood chip for export and use in pulp and paper production or in other ways (and the logistics costs and carbon footprint associated with this). Australia competes in the waste wood chip market with Latin American and Asian suppliers, who have large modern industries and labour cost advantages relative to Australia. With increased land area covered by commercial forestry plantations (and the increased biomass quantities produced as a result), increased packaging in terms of particularly equipment imports into Australia as well as the greater competition in the global market for wood waste produced in Australia, local commercial solutions such as those that are continuing to be developed by BEA are urgently needed. Australian Energy Resource Assessment, Chapter 12 – BioEnergy 2012. Undertaken jointly by Geoscience Australia and the Australian Bureau of Agricultural and Resource Economics (ABARE) at the request of the Department of Resources, Energy and Tourism. Combustion of natural gas in turbines (Open cycle or Combined Cycle) or in gas engines to generate power is more common practice around the world. There are more than 2,250 plants natural gas to power plants in operation around the world today. The scale of these plants varies considerably. A large number of plants are considered small i.e. less than 50 MWe while in Japan there are several large plants of between (3,000 and 5,000) MWe in size. The largest gas to power plant is understood to be 5,597 MWe in generation capacity and located in Russia (the Surgut-2 Power Station). In Australia there are more than 50 natural gas fired power plants supplying electricity into the national electricity grid. They have an average rated generation capacity of 250 MWe. Electricity production from natural gas was measured as 19.38% of the total generation capacity in 2012 (by the World Bank). One third of all natural gas used in the domestic economy is used to supply energy. There are many hundreds more gas fired power plants supplying energy directly to industry in Australia. Natural gas prices have and are continuing to increase significantly in Australia driven by the demand for natural gas from the multiple Gas to Liquid plants now in operation in Gladstone, Queensland. Co-generation using natural gas has the advantage of producing both electricity and heat (two outputs for use by customers) making it an efficient use of a scarce resource. Getting Gas Right, Grattan Institute, June 2013.